Hidden deep in the forest near the boarder of Finland you will find one of the best kept secrets of Russia. 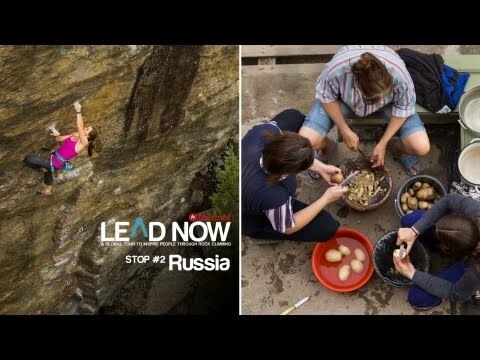 Louder Than Eleven visits Triangular Lake, where you can follow Jon Glassberg, Emile Del Toro, and Pavel Isaev on a tour of Russia's best bouldering destination. Pavel Isaev climbs Oh, Bratan (7C+, v10), Emile Del Toro climbs Suomen Ragazze (7C, v9), and Jon Glassberg climbs Redrum (7C+/8A, v10/11), Night Flight (7C+, v10), Helicopter (7C, v9) and makes the first ascent of Made in America (7C+, v10) and Dobre Noch (8A, v11). Was this a LL Cool J video?… cuz it was “6 minutes of pleasure”. Short and sweet. Enjoyed the minimal beat over the typical dubstep in recent climbing vids. we got crankers all over the world! all over the world!